PHUKET: More than 20 beach vendors from Nai Yang filed a complaint at the Darongdhama Centre (Ombudsman’s Office) at Phuket Provincial Hall today (Nov 21) requesting that officials investigate a land claimant who has allegedly not only refused to remove structures from the beach for the past two years, but has also added more. Mr Amnoy Pongtoy, 50, and Mr Kaid Jadsanam, 70, led a group of Nai Yang beach vendors to the Damrongdhama Centre this morning (Nov 21) where they filed a formal complaint regarding alleged land encroachment at Nai Yang in Sakoo. The group say that the land in question is reserved for animal farming only, but the person who claims ownership of the land has built structures without any permits. Ms Wannee Sirikhan, Chief of Information at the Phuket Highways Office, acting as Chief Supervisor for the Damrongdhama Centre received the complaint and told the group that she will have officials investigate the case. Mr Amnoy explained that the area in question covers five rai and now has a restaurant, spa and accommodation built upon it. The claimant to the land, Mr Dang Laolang, was requested in September 2014 by officials from Sakoo Administration Office (OrBorTor) and the military to remove all illegal structures from the site as per orders issued by the NCPO. “Officials declared that the buildings were illegal because they were built without permits. The claimant has also built new buildings on the land which were also ordered to be removed, but nothing has been done,” Mr Amnoy said. Mr Amnoy also said that the claimant refused to follow official orders posted at the site. “We don’t think it is fair that he is allowed to have businesses on this land but we are not. We believe he has not even paid property tax. We would like officials to investigate,” he added. Mr Amnoy pointed out that the area where the alleged encroachment has taken place is in Nai Yang, inside Sirinath National Park, and that the land is reserved for animal farming. “In 1968 the government issued a notice stating that this land is a public area,” he said. 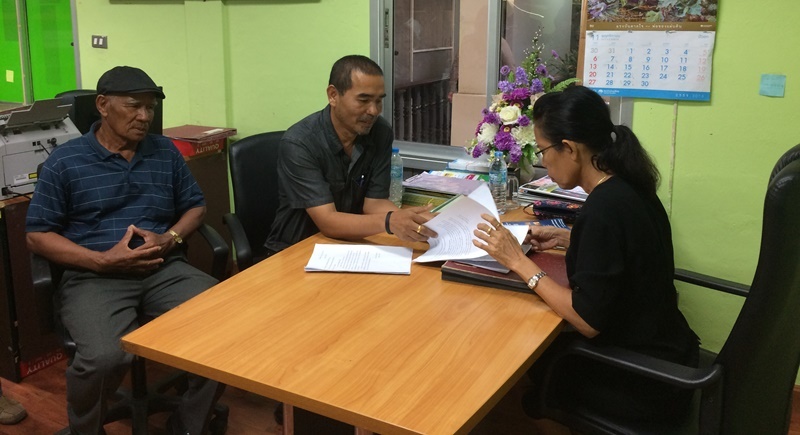 The Phuket News has learned that Mr Dang and his family possess two SorKor 1 land titles – one for 9 rai and the other for over 2 rai – which are currently being reviewed by Phuket Provincial Court. In the past some structures set on the two rai area were removed, but the claimant later replaced it with another building. They are also believed to have built further structures which cover over five rai of land.